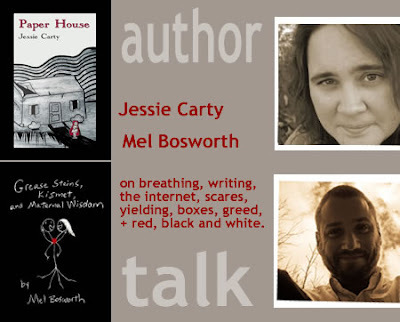 Dorothee Lang of Blue Print Review and the Daily s-Press recently invited me and author Jessie Carty to sit down and chat it up. Thanks to Dorothee and Jessie. GREAT interview! Congratulations to you both for your meteoric rise and continued success. I have learned much from you over the years and am eternally thankful for that mentorship. you're a sweeatheart, jen. thank YOU for your kindness and awesomeness over the years. has it been years? my god. Really enjoyed reading your conversation/interview with Jessie. Also love your 'Grease Stains'promos on youtube! thanks, karyn. more vids to come!